What’s in the term absurdity? When two government schools in two separate villages had been eternally without water supply for their staff and students! Such is the shocking reality that unfolded in the remote highlands of Long Sukang and Long Luping, two Lun Bawang settlements in rural Lawas division of northern-most Sarawak. 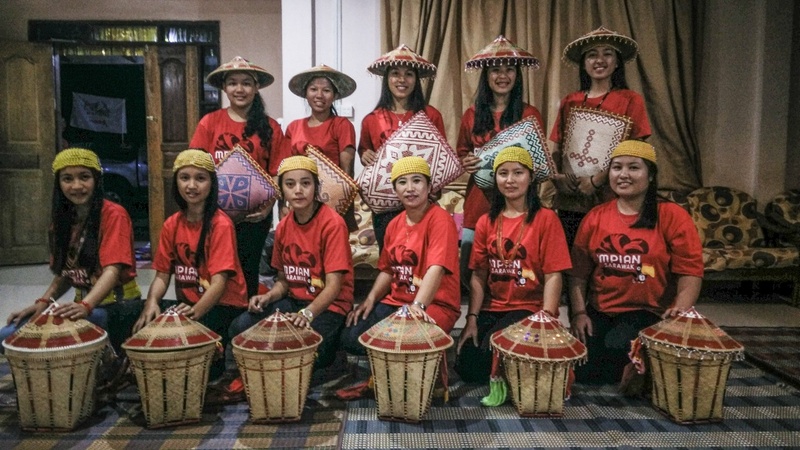 Their similar predicament had gripped many in disbelief, including the Impian Sarawak team when they undertook the challenge of bringing water to the schools, which for untold number of years were made to share the commodity resource meant for the villages. For the Long Sukang community, whose kids were studying at an old wooden structure, they were told of grand plans for the construction of a brand new mega school. However, this new school was never completed due to alleged soil movement underneath and was thus deemed unsafe. A stop-work order was subsequently issued, ending up in today’s abandoned monstrosity – the remnants of which remain are its 3 buildings namely 2 dormitories and a canteen, with just 70% overall completion - a terrible blight in this beautiful lush landscape. The school teachers and students have since moved into the partially-finished part of the entire building about 3 years ago, unable to withstand their old wooden dorms that were falling apart. One block has been converted into classrooms and the other as their sleeping quarters, but all without water. Instead, the school had to turn to the village that then allocated one of its 3 pipelines to them which resulted in low water pressure to some of the houses. Previously, the locals had even resorted to using fire hydrant pumps to enable water to fill up tanks daily at the old school since there was not enough pressure to have pipes supply water to the tank. The school’s PTA chairman Yaris Semayong had heard about one of Impian Sarawak’s gravity-feed water system projects in Limbang (the nearest town to Lawas) and having decided that enough was enough, contacted the team in April. 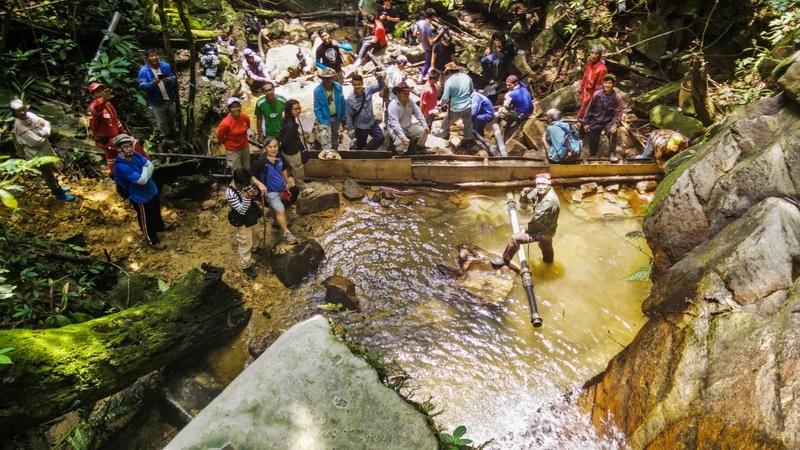 Two months later on June 13, a gravity-fed water system was completed, in just five gruelling days with 10 Impian volunteers and an overwhelming response from the local villagers. In the case of SK Long Luping, the school has existed for over 10 years, but staff and students had never got to enjoy their own water resource despite the presence of an internal piping system within its school grounds provided by the Ministry of Education. Likewise, they were forced to share with the village’s supply from a dam but which has insufficient capacity to cater to the needs of both the village and the school. Apparently, a reservoir was built for the school about six years ago under the purview of the Ministry of Health (because any external piping connection or system is by the Ministry) but proved to be unreliable as the water would dry up quickly especially during droughts. According to the villagers, there was no prior consultation with them on the location to be built, whether suitable or otherwise. To make matters worse, the contractor which has been entrusted to build PVC pipes only laid them to a certain extent, and disappeared. The work was never finished; remnants of the pipes can be seen lying in their disintegrated stages at random spots along the route, unusable and with parts missing. The school’s PTA chairman Balang Laya sought the help of various parties to find a resolution but to no avail. He learnt about Impian Sarawak when it was working on the project for Long Sukang in June, and the rest, like they say, is history. Long Luping’s project was stretched over 2 phases – the first in July 2014 and the second in September, which saw 14 volunteers roughing it out for the connection of pipes and installation of a break pressure tank. And on the Monday of Sept 28, clean flowing water finally gushed out of the school’s taps, to the delight of the students and everyone! Meanwhile, some 20 pipes in excess were used to replace the old leaking and weather-beaten pipes in diverting overflow of water from the school to the village.